Fig. 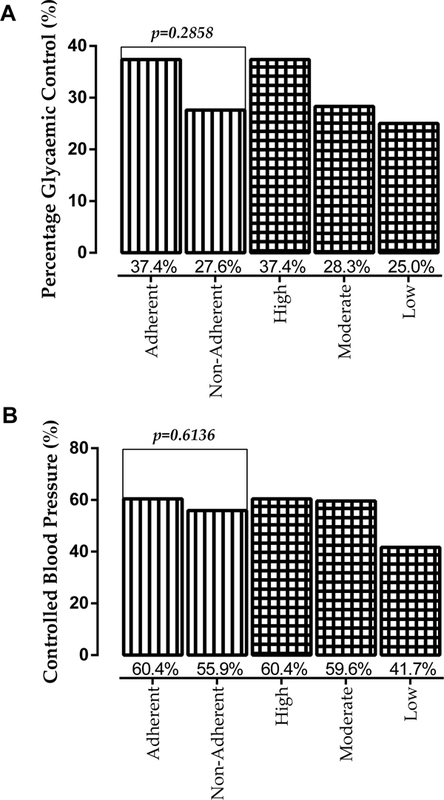 (1) Relation between Medication Adherence and Glycaemic and Blood Pressure control among people living with diabetes in the Ho Municipality. p is significant at 0.05.